"Dr. Brody will go up and beyond"
"Dr. Brody is the only dentist I trust with mine and my family's dental care!!!!" We provide a state-of-the-art facility for the highest quality dental care available. One of our top priorities is to protect the well-being of our valued patients. For this reason, our office meets and surpasses all OSHA (Occupational Safety and Health Administration) and CDC (Center for Disease Control) standards. We are confident that you will feel at home in our office as we welcome all patients as if they were family. Jessie has been with us for over 7 years. She is warm and caring with a great disposition. Jessie will put you right at ease making sure you feel right at home in our office, answering any questions or arranging your insurance or financial needs. Take the step forward and get that amazing smile that you have always deserved. 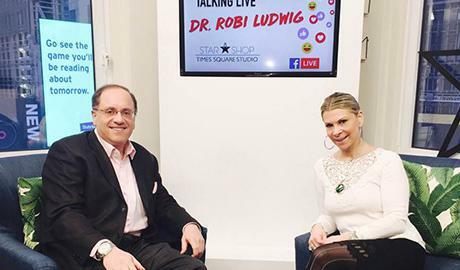 Dr. Brody is often invited to present his expertise live on TV! "Dr. Brody is unbelievable with both adults and children...The office is beautiful and efficient and the staff are extremely nice. We will be back!" "Dr. Brody is a great dentist with next-day availability in Times Square." "Dr. Brody is an excellent Dentist. His office staff is exceptional."